Many charities set up one or more restricted funds. This is done most often to honour a donor's restriction request or to provide a way for donors to direct their gifts to a specific project or longer-term purpose outside of the General Fund. Though there are good reasons to set up restricted funds, the charity's leadership must understand that doing so sets up a special purpose charitable trust, which has several implications for the charity. Should my charity set up restricted funds? What are the rules and implications of saying "yes" to setting up a special purpose charitable trust via a restricted fund? What is the importance of proper polices (e.g., a Donor-Restricted Gift Policy)? 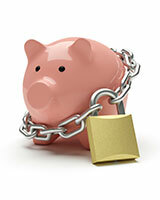 What is the difference between externally and internally restricted funds? How can control be exerted through proper accounting and financial presentation for restricted funds?